Give your living room an urban upgrade with this solid wood end table. 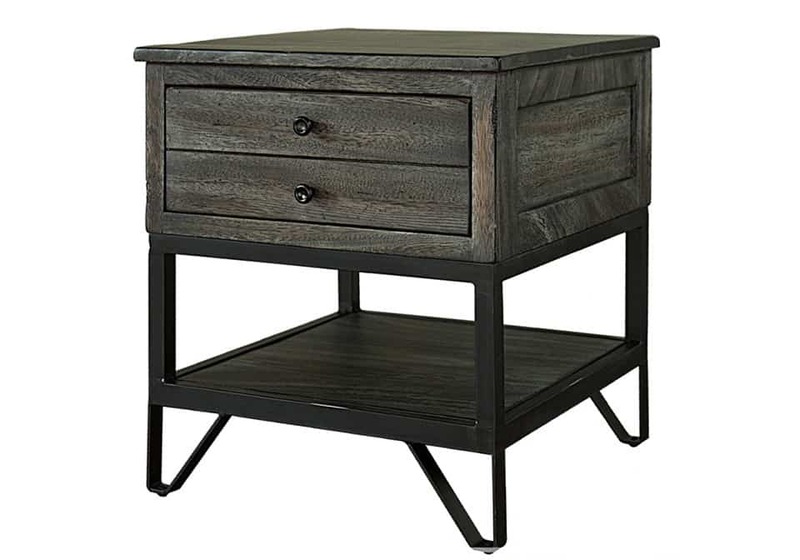 Design elements like clean lines and the warm gray finish combine with the hand wrought iron legs to create a beautiful marriage between contemporary style and an industrial feel. You’ll add plenty of storage for your favorite reading materials or other decorations with the drawer and bottom shelf provided by this table. Solid wood construction ensures that this great looking piece will be a part of your home for years to come.